If you know me, you know I love a good deal! Deals and sales make me happy. Here is my most recent deal. I’ve been looking around for some sandals for baby girl, finally found some! 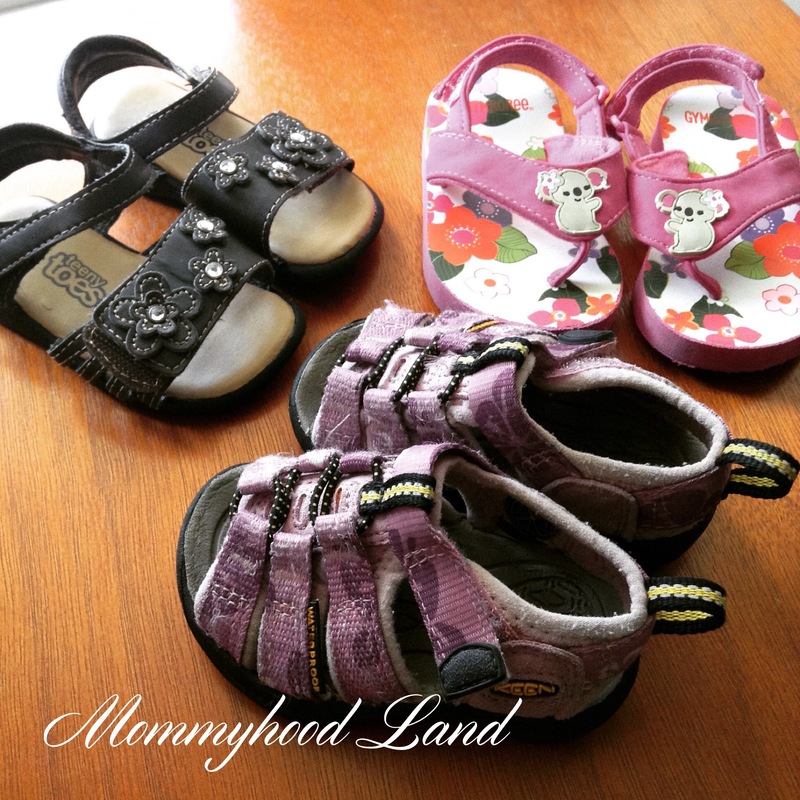 I got these 3 pairs of sandals for $11 from Once Upon A Child, one of the pairs is even a Keen pair! Awesome shoes! Do you have a Wordless Wednesday post? Or Not So Wordless Wednesday post? Link up below! I know. Its amazing how quickly kids grow! So glad we have a few different used clothing stores for kids around here, gives me a lot of choices when shopping for the kids.